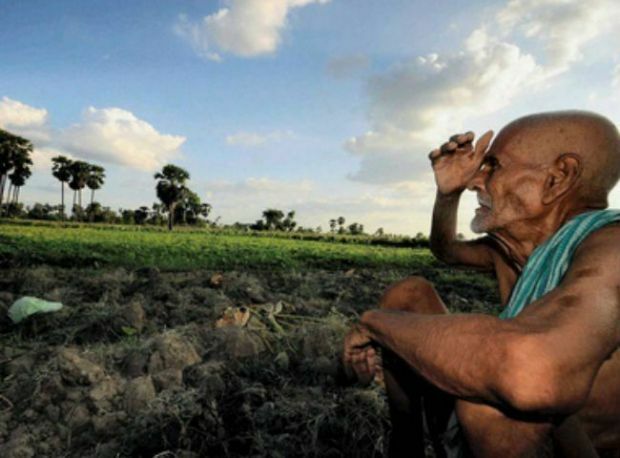 The total agricultural area in Andhra Pradesh has shrunk by 5.24 lakh hectare during this Kharif season to 32.52 lakh hectare, mainly due to weak monsoon, according to an official report. Chief minister N Chandrababu Naidu yesterday released a progress report submitted by Agriculture department on first five months of the current financial year here during a two-day District Collectors conference. In April-August period, acreage under various crops stood at 32.52 lakh hectare against the targeted 37.76 lakh hectare on the back of thin rainfall this year, the report stated. Area under paddy has declined by 2.45 lakh hectare due to shortage of water in Srisailam and Nagarjunasagar reservoirs, it said. Expressing concern over the fall in acreage, Naidu said in order to meet the challenges owing to drought conditions in the state, the government has brought an alternate crop plan for farmers. Under the plan, the farmers will be provided seeds with 50 per cent subsidy. A total of 142 lakh quintal seeds of various crops are ready for distribution to farmers. The report said scanty rainfall has also impacted the crop loan target of the banks in the state. Banks had a target to disburse Rs 29,000 crore under crop loan category in the Kharif season, but currently the sanctioned amount stood at Rs 23,000 crore, it added.